Eragon is a normal kid in an abnormal world where dragon riders once existed and an evil king now reigns. While hunting, Eragon finds a hard rock in the Spine and brings it home hoping he can sell it to help his family. Except the rock hatches in to a dragon and he becomes a rider, bringing back an old tradition. The king wants the dragon and sends Ra'zoc, which kill part of his family and force Eragon on a journey to keep his dragon safe. Fortunately he has local tale-teller Brom with him who has seen a lot in his days and can help keep Eragon safe. The result is a fairly long journey to find allies and the mysterious Varden, who are fighting against the king. Not surprisingly, this brings lots of fighting, imprisonment, and battles. The book is a fairly large one so I thought a lot of ground would be covered and we'd get in to some action with the king but that didn't happen. While I had no problems getting through the book, looking back on it I feel like not much happened. There was a lot of walking through the forest and some fighting. There were a lot of questions asked and not many answered. This was probably the most frustrating part of the books. The mysteries that were easy to figure out for yourself were identified and those, such as why Eragon saw Arya, were questioned and then never resolved. With the book being so long, you would think there would significant character development. Eragon and Saphira, the dragon, are the centre of this book but I don't really feel like we learned much of who Eragon is. We know his past and who he was raised by but don't really know what makes him tick. I felt more connected to Brom, though I'm not entirely sure why. Despite the problems this book has, it did capture my interest and keep it for the length of the book. I do have the second in the series so I'll read it and determine from there whether I want to continue on to the last book. First Line: "Wind howled through the night, carrying a scent that would change the world." Stacy Kim, an aspiring writer, visits an art gallery and sees Kathy Moran's famous photograph. It was taken of a woman in her wedding dress on a beach holding an old pistol. Stacy is inspired. She wants to know what happened before and after this picture and wants to use it as inspiration for a book. It grabs her so much that she uproots herself on the east coast and moves to the west coast, where this happened. From there, we are taken back to when the crime actually happened and how the police and DA responded. A rich man was murdered and burglarized on his wedding day, his wife found wandering on the beach. A DA was brought in externally due to the small town not having much experience in murder cases. The DA knew the photography, Kathy Moran, from a long time ago as Moran was also a lawyer. There's attraction between the two and Moran's history is also explored. It sounds like there's a lot going on in this book and there is. But it somehow all works. The pieces fit together nicely and the history of the characters and the case is laid out clearly. Sometimes jumping around in time can be confusing for the reader but that wasn't at all the case here. The book wouldn't have worked without this background information so I was appreciative to get it and have it pulled off so well. The plot itself was engaging and the twist at the end was pulled off. I kept turning the pages to figure out what was going on and try to determine who dunnit! This is one of the most important things for me in a mystery and this book definitely delivered. I would have liked to like the characters a bit more. I'm not entirely sure why I felt blase about the characters but they were nothing special. It was the plot that drove this book forward. First Line: "'Wilde, Levine and Barstow, how may I direct your call?'" It's Christmas time at country club Pennyfoot. There's a Christmas Eve wedding, caroling in the library, and an annual production put on by owner Cecily's friend. Needless it say it's a busy and slightly chaotic time of year for this hotel! When the body of a guest washes up on shore, Cecily knows this will just add to the craziness. The man was stabbed and the name he checked in under wasn't his real name. The detective is more interested in leaving for holidays than investigating, which leaves Cecily to investigate herself. When a young girl appears on her grounds with no memory of who she is, Cecily puts her to work and wonders if there's any connection to the other crime. Getting more history from this hotel, we learn that its past could be part of its present predicament. There are tunnels and illicit card rooms that have since been bricked up and boarded off. Could the criminals be using these tunnels to move goods or hide? I don't usually read cozy mysteries because I like the gritty part of mysteries. I want detectives and blood, the rough streets and sketchy characters. There's none of that here. Everything moves a bit slower and everyone is a bit more careful. The detective only shows up for a few pages and the regular folks are left on their own to figure out whodunnit. Even though this isn't my usual fare, it was still fairly enjoyable right up until close to the end, where the description of the crime and criminal were packed in the end as a character recounted it rather than it actually happening. I felt a bit cheated by that. It's a few days before Christmas and, like usual, Stephanie Plum is less than prepared. She keeps putting off everything, including finding her latest skip Sandy Claws. Suddenly a not-too-bad-looking man appears in her kitchen. He's going to help her get in the Christmas spirit and find Claws. But how exactly did he just appear like that? Typical to Stephanie's chaotic nature, there's a car fire and other craziness that follows her around. I was pretty disappointed with this book compared to the rest in the series. It was rushed and not nearly as funny as most the books in this series. Perhaps that's because there wasn't enough time to have grandma or Lula get up to their regular antics. The book just ended and I was left with the feeling that I was missing something. First Line: "My name is Stephanie Plum and I've got a strange man in my kitchen." The Kranks spent way too much on Christmas last year. This year, with their daughter having flown down to South America to volunteer over Christmas, the Kranks have decided to skip Christmas this year. They won't be putting up a tree or lights, there will be no frosty on top of their house, calendars will not be purchased from the firefighters or police officers, and gifts will not be bought. Instead they're going to leave on Christmas for a cruise and enjoy some time in the sun. This doesn't make them a very popular couple on their street, which competes each year to be the best decorated street. Nor do their local police or firefighters appreciated their ungenerous spirit. Despite this, the Kranks vow to keep their resolve and skip Christmas. The neighbours in this book were something else. All of them were cranky and mean spirited towards the Kranks. Where's the warm holiday spirit in this novel? It wasn't until the very last pages that we saw it and even then it seemed rather forced. I kept thinking that I'd heard of the "Kranks" before and sure enough this book was made in to a movie "Christmas with the Kranks". It too has a low rating on IMDB, probably to match the rather weak story. First Line: "The gate was packed with weary travelers, most of them standing and huddled along the walls because the meager allotment of plastic chairs had long since been taken." On her ninth birthday, Rose develops an interesting ability. She tastes her mom's lemon chocolate cake and rather than tasting the flavours of the cake, she tastes her mom's emotions. Her mom seems happy but her cooking tells a different story. She tastes sadness and desperation. Rose tries to tell people about this and though her brother's friend believes her, it becomes too much of a hassle to explain to anyone else. Soon Rose is tasting her mother's affair in her cooking and Rose tries only to eat factory-produced food. As Rose grows up, her brother starts displaying some abnormal behaviours as well. He will disappear for moments and then re-appear as if nothing has happened. Rose learns to live with her ability. She even learns how to distinguish different states and factories from what she tastes. Though she never really seems to put her ability to much use. A friend asks her to taste her cooking to tell her emotions but it never really goes beyond this. Perhaps though, it would be too much for a person to consistently use this ability in their day-to-day life. This book is quite different from the books I've read this year. It was a bit slow at times and I felt like more could have been done but I enjoyed it. Rose was a rather insightful character, despite being so young, and did a fantastic job of explaining her ability and how she lived with it. The story line with her brother was pushing it a bit but overall still a good book. First Line: "It happened for the first time on a Tuesday afternoon, a warm spring day in the flatlands near Hollywod, a light breeze moving east from the ocean and stirring the black-eyed pansy petals newly pained in our flower boxes." Elena didn't choose to be like this. She fell in love with the wrong guy, who happened to be a werewolf and decided she needed to join the pack. She's harboured resentment towards Clay since that time and had tried to lead a normal life, with a normal boyfriend, in a normal town. Except she needs to go out about once a month to change. When she gets a call from pack leader Jeremy, she knows something is terribly wrong. Even though she doesn't want to head back, she does and finds an all out war going on with werewolves that aren't part of the pack. I'm not usually a fan of werewolves, zombies, or any of those types of fantasy books but this one is pretty good. Armstrong captured interest quickly and built suspense throughout the book so you wondered how the pack was going to pull it off. Of course, you have a pretty good idea of who will survive and who won't so none of the deaths come as much of a surprise, but it's more about the story and characters. At times I found Elena annoying. Most of the time I found Clay annoying and yet this didn't stop me from enjoying the book. It's not usual that a book is set in Toronto. I enjoyed that aspect of the book and the parts of Toronto that I recognize. Including how werewolves don't like taking the TTC (though who does?). First Line: "I have to." Stuntman Reb Barnett doesn't like thinking about the past. His parents were killed in a fire while his dad was trying to acquire papers from Da Vinci. Since then, Reb has lived on the edge and had troubles trusting people. He gets a call from someone that is supposed to be dead to help continue his dad's quest and Reb can't help but continue to live dangerously and complete his dad's quest. This takes him to Italy and in to the path of Ginny, who has two of the papers. When people try to kill them, Ginny and Reb run and know they must decode the papers quickly to save their lives. The plot was interesting. Decoding two circles of truth to find the Medici Dagger, made of a metal light as air. Decoding the circles and finding the dagger was the most enjoyable part of the book. The reason why it needed to be found and kept away from the bad guys was ridiculous. The reason was convoluted. A much simpler reason would have sufficed. Anything to do with characters in this book was horrible. The mood swings from these people was insane. Ginny goes from crying with joy to slapping Reb in the face with anger. What the hell is that? The characters were annoying and because of their wild mood swings you couldn't take any of them seriously. First Line: "I sank into the black leather sofa in my father's spacious office, leaning against a pillow that looked like a big, silky Chiclet." 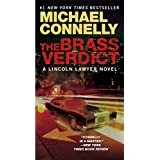 In this cross-over book for Harry Bosch and Mickey Haller, one of Haller's old colleagues is killed in the parking lot of his office and Haller is called in to take over all of his cases. This brings Haller out of his year-long break, recovering from being shot. Haller has a big case now, that of millionaire Walter Elliot, charged with murdering his wife and her lover. The prosecutor has a pretty solid case against Elliot and Haller needs to get up to speed quickly, determine what his colleague had discovered, and what he can do to fight this case. Bosch enters the picture, trying to solve the murder of the lawyer. We get a completely different picture of Bosch in this book. Rather than being in his mind as he investigates a crime, this time we're with one of his suspects as he investigates them. They way Bosch investigated Haller made him seem like a jerk, though we know that he's fantastic at his job. I fear that if this were my first time reading him, I'd probably not like him! Good thing, Bosch, that I know you so well. This book captured my attention right away. I had troubles putting it down, wanting to know how Haller was going to get his client off (if he could), and if Bosch was going to catch his killer. The books in this series seem to be getting better and better. I didn't have much intention of reading the Haller series, but after this book I need to. This was a great mystery! Dexter Morgan is a blood analyst at the Miami Police Department, but he has a very dark secret. Dexter likes to kill. Trained by his adopted dad, Dexter was given a code and only kills those that deserve it; criminals that the justice system has let slip through the cracks. When body parts start turning up around Miami completely drained of blood, Dexter can't help but admire the work it takes to do that. His sister, Officer Deborah Morgan, wants to become a detective and believes this is the case that will get her there. She works with her brother to try and figure out who is doing this and catch them. But Dexter can't figure out if he really does want to catch this "artist". Having watched the television series, I knew the background on the characters. I wonder if this would have made as much sense to me without having seen the tv show first. I also wonder if I would like Dexter without the tv show. The story itself was more about Dexter than it was about the mystery, which is odd for a mystery book. Usually the characters take a back seat for the mystery but it was the opposite in this case. I would read the next book the series, but hopefully it focuses a little bit more on the mystery. Trevor Mayhew grew up in a broken home. His father abused him and his mom passed away when he was young. Trevor's grandmother was the only source of happiness in his life but he was forbidden from seeing her, until his grandmother took Trevor and ran away. Years later, the past catches up to him. BK Hartshaw also had a less than loving childhood. Her mother favoured her other sister and, once their mom married a rich car mogul, the kids were basically forgotten. Trying to make something of herself, BK moves in to an apartment with her best friend and starts work at a PR firm. BK's friend has a stalker though, causing the girls to always be looking over their shoulders. This book is a thriller through-and-through. Most of the characters are treated horribly, which makes you root for them and hope they make positive changes in their life that their families try to stop from happening. Despite rooting for these characters, I felt like I didn't know them enough. I think this may have been a factor of the time shifting in the book. There were months and even whole years skipped in the book for, I assume, the purpose of shortening the book, however if some of that additional time had been included in the book I feel like I would have more context behind the characters and the decisions they were making. For example, what really happened between BK and her boyfriend Max? Rather than their split making sense, it felt like just a tool for driving the plot forward. Added to this, the book started with headlines as to which year we were in, but later in the book this seemed to be forgotten and I got a little confused as to where in time we were. This book is a quick, fun read for those in to thriller novels. I would recommend it as a summer read, even though that season is now behind us. Pretty good for a debut author! 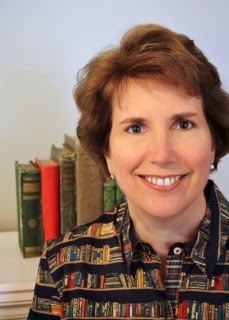 Thank you to TLC Book Tours for letting me be a part of this book tour! First Line: "BK Hartshaw stared at the face of the man with the gun." Look! You can win a dinner package or a free copy of this book! Amy lives near the short but picturesque seacoast in New Hampshire with her husband and daughter. Before becoming a writer she owned an old fashioned five and dime store where, in addition to regular priced merchandise, she had a display of items that actually retailed for five or ten cents each. Dangerous Denial is her first published novel.